Besides that, I teach Machine Learning and Computer Vision at Institut d’Optique Graduate School (Univ. Paris Saclay) and ENSTA ParisTech (Institut Polytechnique de Paris). I also serve as Chair of the IEEE GRSS Image Analysis and Data Fusion Technical Committee. [May/June 2019] Javiera Castillo-Navarro will be at JURSE 2019 to present our paper “What data are needed for supervised semantic segmentation? and Rodrigo Caye Daudt will be at CVPR/Earth Vision 2019 to present our paper on Weakly-supervised change detection. [May 2019] I will give a tutorial on Deep Learning for Remote Sensing at JURSE 2019 with Loïc Landrieu. It will cover 2D and 3D, and include practical information to deploy deep learning approaches to remote sensing data. 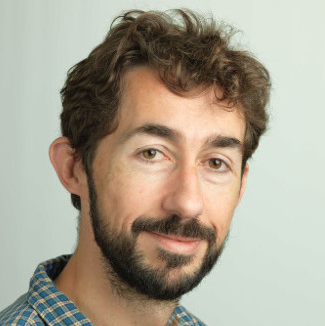 [March 2019] Rémy Leroy joined the lab as MSc. student intern, to work on 3D point-cloud prediction. He is co-supervised with Marcela Carvalho and Pauline Trouvé-Peloux. [March 2019] I have 3 open PhD positions to work with me on deep machine learning for scene perception and understanding. [March. 19] On March 4th and 5th, I will be in Barcelona to participate to the EuroSDR seminar for the course on Deep Learning for Remote Sensing I will give with Sébastien Lefèvre and Loïc Landrieu. © 2019 Bertrand Le Saux. Powered by Jekyll & AcademicPages, a fork of Minimal Mistakes.